Mermaid’s Palace is a brand new gaming site that brings along all of the best gambling products supplied by the top online software studio. By having an attractive visual interface, the website is filled with pleasant graphics that were taken straight from the underwater realm of mythology. All of the players are welcome to try the most excellent games, even those that come from the United States of America. Some of the most impressive features that the casino holds is the fact that they implement the BetOnSoft platform, which is one of the most technologically advanced solutions on the online market. With so many things going on at the casino, you may want to check it out on your own, as everyone can find something that did not even know it existed. The site is constantly guarded against all unauthorized access that could occur during the process of any activity. The trademark is licensed under the jurisdiction of the Netherland Antilles. The welcoming package consists of an impressive number of nine deposits that will cover the first transactions made by the clients. 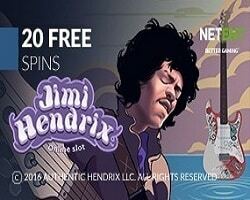 There are also the very desirable free spins that may be acquired to play on plenty different slot machines. The software library is as deep as the ocean itself for it brings much of the attainable gaming chances to try any kind of luck, good or bad. 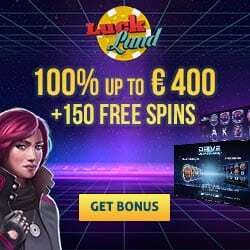 There are Free Roll Tournaments that offer Blackjack, Slots and even the unique Go Video Slots. The games can be enjoyed as well on the mobile form of the casino which is available for practically any kind of handheld device. All of the services can be accessed with the quick and easy instant mode, that will allow you to enjoy your favorite titles with just a few clicks. The very special features like Wilds, Scatters, Free Spins and Bonus Games, come along with the Classic Slots as well as the Video Slots. There are also the more standard casino goods, like the Table Games, with 3 Card Poker, Blackjack, Roulette and Craps to choose from. The amateurs of Video Poker will be happy to know that they may have a chance to play a hand of Deuces & Joker, Bonus Poker, Aces and Faces or others. The other games include Keno and Scratch Cards. Customer support is accessible by the means of contact by e-mail, telephone and live chat. The banking options allowed for use include Neteller, ecoPayz, MasterCard, Visa, Click2Pay, Ukash, myCitadel, Paysafecard, EcoCard, Skrill-Moneybookers. Available currencies are U.S. Dollars, AU Dollars, Euros, Canadian Dollars, U.K. Pounds. The language version of the interface is in English.